A Nation made more secure by a fully integrated, agile, resilient, and innovative Intelligence Community that exemplifies America’s values. Provide timely, insightful, objective, and relevant intelligence and support to inform national security decisions and to protect our Nation and its interests. As the Director of National Intelligence, I am fortunate to lead an Intelligence Community (IC) composed of the best and brightest professionals who have committed their careers and their lives to protecting our national security. The IC is a 24/7/365 organization, scanning the globe and delivering the most distinctive, timely insights with clarity, objectivity, and independence to advance our national security, economic strength, and technological superiority. 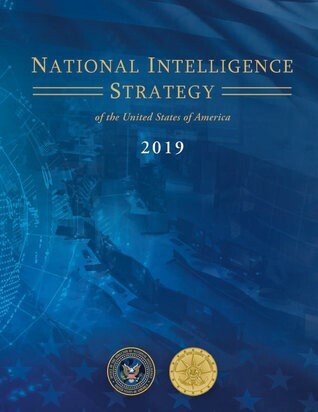 This, the fourth iteration of the National Intelligence Strategy (NIS), is our guide for the next four years to better serve the needs of our customers, to help them make informed decisions on national security issues, and to ultimately keep our Nation safe. The NIS is designed to advance our mission and align our objectives with national strategies, and it provides an opportunity to communicate national priority objectives to our workforce, partners, oversight, customers, and also to our fellow citizens. Increase transparency while protecting national security information to enhance accountability and public trust. This National Intelligence Strategy increases emphasis in these areas. It better integrates counterintelligence and security, better focuses the IC on addressing cyber threats, and sets clear direction on privacy, civil liberties and transparency. We have crucial work before us. Our customers depend on us to help them to make wise national security decisions, and Americans count on us to help protect the Nation, all while protecting their privacy and civil liberties. We must provide the best intelligence possible to support these objectives; doing so is a collective responsibility of all of our dedicated IC professionals and, together with our partners, we can realize our vision. Our ongoing goal is to continue to be the very best intelligence community in the world. Thank you for your service and for bringing your talent and commitment to the work of keeping our Nation safe each and every day. Thank you for your dedication to our mission and to the security of our fellow citizens as we take this journey together. The seven mission objectives broadly describe the activities and outcomes necessary for the IC to deliver timely, insightful, objective, and relevant intelligence and support to its customers. Mission objectives address a broad range of regional and functional topics facing the IC and their prioritization is communicated to the IC through the National Intelligence Priorities Framework. The first three mission objectives address foundational missions of the IC which transcend individual threats, topics, or geographic regions. The next four mission objectives address specific, topical missions of the IC. Identify and assess the capabilities, activities, and intentions of states and non-state entities to develop a deep understanding of the strategic environment, warn of future developments on issues of enduring interest, and support U.S. national security policy and strategy decisions. Identify and assess new, emerging trends, changing conditions, and underappreciated developments to challenge long-standing assumptions, encourage new perspectives, identify new opportunities, and provide warning of threats to U.S. interests. Provide timely intelligence support to enable planned and ongoing operations. Detect and understand cyber threats from state and non-state actors engaged in malicious cyber activity to inform and enable national security decision making, cybersecurity, and the full range of response activities. Identify, understand, monitor, and disrupt state and non-state actors engaged in terrorism and related activities to defeat threats to the United States, our people, interests, and partners. Detect, characterize, and disrupt activities of state and non-state actors engaged in the proliferation of weapons of mass destruction (WMD) and their means of delivery to defeat WMD threats to the United States, our people, interests, and partners. Detect, understand, deter, disrupt, and defend against threats from foreign intelligence entities and insiders to protect U.S. national and economic security. The seven enterprise objectives provide the foundation for integrated, effective, and efficient management of mission capabilities and business functions. The first two enterprise objectives focus on general mission and business practices of the IC. The next five enterprise objectives focus on integration of IC efforts in specific areas for the successful completion of the mission objectives. Prioritize, coordinate, align, and de-conflict IC mission capabilities, activities, and resources to achieve unity of effort and the best effect in executing the IC’s mission objectives. Provide and optimize IC business functions and practices to enable mission success. Forge and retain a diverse, inclusive, and expert workforce to address enduring and emerging requirements and enable mission success. Find, create, and deploy scientific discoveries and new technologies, nurture innovative thought, advance tradecraft, and constantly improve mission and business processes to advance the IC in a rapidly changing landscape. Develop, enhance, integrate, and leverage IC capabilities and activities to improve collaboration and the lawful discovery, access, retrieval, and safeguarding of information. Optimize partnerships to enhance intelligence and better inform decision making. Safeguard privacy and civil liberties and practice appropriate transparency to enhance accountability and public trust in all we do. The Intelligence Community is an integrated enterprise comprised of 17 Executive Branch agencies and organizations (generally referred to as “IC elements”) that conduct a variety of intelligence activities and work together to promote national security. The DNI, through the Office of the Director of National Intelligence, provides the IC with overarching oversight, direction, guidance, and coordination. IC elements execute their missions consistent with their statutory authorities. All members of the IC workforce are responsible for understanding how they contribute to the mission of the IC and executing their specific role to the best of their ability, while safeguarding privacy and civil liberties and practicing appropriate transparency. Through the NIS, the DNI sets strategic direction for the IC, bringing together the IC elements to address challenges that individual elements cannot solve on their own. The DNI provides direction for establishing and sustaining capabilities to enable mission success. Under the direction of the DNI, the core mission of the ODNI is to lead and support IC integration; delivering insights, driving capabilities, and investing in the future. IC governance is the management of mission and enterprise activities through intelligence integration. Intelligence integration means coordinating and synchronizing collection, analysis, and counterintelligence so that they are fused, effectively operating as one team. The DNI establishes policies and standards to enable intelligence integration. The DNI leads IC mission execution through decisionmaking bodies, IC strategies, IC budget and resource management, development of IC capabilities, information sharing and safeguarding, and partnering with domestic and foreign partners. The National Intelligence Program (NIP) is the IC’s budget. The NIS serves as the DNI’s mechanism to align NIP resources and report resource expenditures and performance to Congress. The DNI leads an IC-wide effort to develop an integrated NIP budget, maintaining strategic focus and cross-IC budget awareness, to assure that NIP investments best support national security goals and objectives. The DNI also participates in the development of annual budgets for the Department of Defense IC elements under the Military Intelligence Program (MIP). 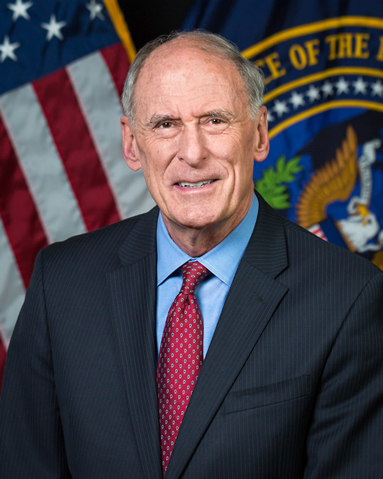 The DNI serves as a voice and advocate for the IC to Congress and other external entities. The NIS informs the strategic plans of the IC elements. The mission and enterprise objectives in the NIS shall be incorporated and cascaded into the strategies and plans of the IC elements. Functional managers, National Intelligence Managers, Program managers, and IC enterprise managers will align, synchronize, and integrate their activities to the NIS. Program managers are heads of IC elements responsible for executing the missions of the IC. They oversee their element’s budget activities, make investments in capabilities, and execute expenditures within the NIP and the MIP in the IC budget process. Each year they provide a strategic program briefing to the DNI and report to Congress on their respective programs. Activities, initiatives, and operations addressing NIS mission and enterprise objectives require constant and consistent evaluation. IC elements will document the specific impact of their activities, initiatives and operations, the extent to which this impact contributes to broader NIS objectives, and any factors that impede their ability to advance NIS objectives. Measuring progress toward meeting NIS objectives is crucial to improving the overall performance of the IC. The NIS provides the IC with the DNI’s strategic direction for the next four years, aligns IC priorities with other national strategies, and supports the IC’s mission to provide timely, insightful, objective, and relevant intelligence and support to inform national security decisions and to protect our Nation and its interests. The IC must fully reflect the NIS in agency strategic plans, annual budget requests, and justifications for the NIP. The DNI will assess IC element proposals, projects, and programs toward the objectives of the NIS to realize the IC’s vision of a Nation made more secure by a fully integrated, agile, resilient, and innovative Intelligence Community that exemplifies America’s values. The NIS is just one of our Key Products.